$15,000 Home Buyer Grants Available! Recipients must attend home buyer education/counseling program. 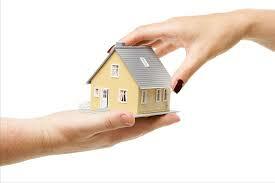 If the home owner remains in the home for 5 years, there is no repayment. If the home is sold within the first 5 years, the grant is paid back on a pro-rated basis. Enrollment to eligible borrowers starts March 23, 2016, with a fully executed Purchase & Sale Agreement, completed application and income/asset verification. Think you may qualify? Now is the time to reach out to us and your local lender for more details. This is a great opportunity to buy a home while there is a good inventory of homes to choose from, interest rates are low, and now you may have an additional $15,000 to put towards your down payment and closing costs! Equity Builder Grant for 1st Time Home Buyers! Are you a first time home buyer? Do you know about the Equity Builder Grant Program? If not, you should talk to your local lender. The program gives banks grants to give out to income eligible applicants. I believe Community National Bank & Passumpsic Savings Bank will each have 10 to give out. The funds will be available soon so talk to your lender and you might just save $9K! Newton, Please contact one of our local lenders regarding the grant. I believe both Community National Bank and Passumpsic bank have some grant funds to work with. I would guess some other VT banks would as well! Woah this blog is wonderful i love reading your articles. Keep up the good work! You understand, a lot of persons are searching round for this information, you can aid them greatly. Could you please add Union Bank to your ad.